The Mt. 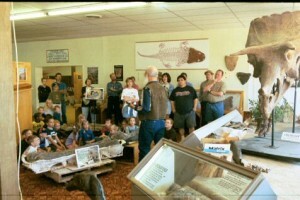 Blanco Fossil Museum and associated companies are located at 124 W. Main in Crosbyton, Texas (Highway 82 and Main Street are the same going through Crosbyton). Crosbyton, the county seat of Crosby County, is 35 miles east of Lubbock on US Highway 82. It is located near the famed Llano Estancado and Blanco Canyon of west Texas. I’m Joe Taylor, the director and curator of the Mt. Blanco Fossil Museum. If you like fossils, dinosaur digs and other old things you have come to the right place. Check the news reports. We want to show you why we do not believe that the evolution theory or the millions of years concept is good science. The Mt. Blanco companies are for-profit private businesses that are divided into three divisions, Mt. Blanco Fossil Museum, Mt. Blanco Casting Company and Mt. Blanco Publishing Company. The Mt. Blanco Fossil Museum is a scientific and educational institution dedicated to a correct interpretation of Earth history and fossil remains. We believe that the fossil record speaks of catastrophic events happening several thousand years ago rather than slow processes taking place over millions or billions of years as is held by the popular establishment. Admission is $5 for adults and $2 for children, ages 6-12. Kids 5 and under get in free. Group rates are available. Guided lecture tours by Joe Taylor or other staff members are given for school, church and other groups. Call for group rates. If you plan to visit, please call to schedule (806) 675-7777. The museum building includes a gift shop where fossils and fossil casts as well as books and some scientific papers are for sale. The Mt. Blanco Casting Company produces molds and sells fossil casts and related items to other institutions, organizations and individuals. The production of these casts takes place at the Crosbyton facilities. The Museum also does fossil excavation and restoration. Some of our replicas are available for purchase online, while many others are also available in the museum. The Mt. Blanco Publishing Company has produced several volumes. 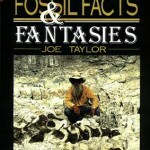 The most popular of these are Joe Taylor’s Fossil Facts & Fantasies, now in its second (revised) edition, and Giants Against Evolution. Another Mt. Blanco book is Taylor’s humorous Surviving Bachelorhood – A Cookbook. 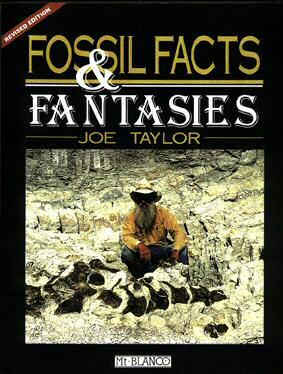 Also printed is Fossil Man, Dinosaurs & Giant Mammals Together by John A. Watson and Talking Heads: Notes on the Interpretation of the Skulls of Terrestrial Animals by Gregg Thompson. Other projects are also in the works. Find all of our books available for purchase online here. 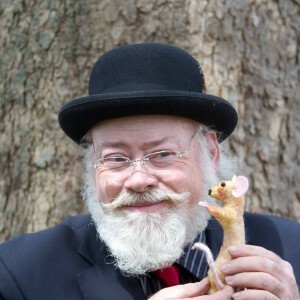 Joe Taylor is the owner and curator of the Mt. Blanco Fossil Museum and associated companies. He was born and raised near Crosbyton at the Mt. Blanco community. As a young man he left the area for art school and a career in commercial illustration and advertising design in New York City and Los Angeles. During this time he volunteered at the La Brea Tar Pits in Los Angeles, California where the saber tooth cat skull which we reproduce is from. 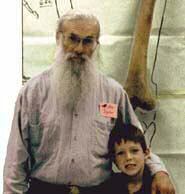 His interest was sparked by the rich local fossil deposits and a desire to find out the truth about fossils. The results of this interest are seen in the museum. 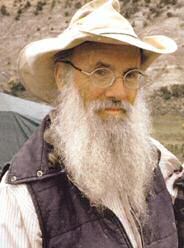 Mr. Taylor is one of the nation’s foremost fossil restorationists and his work is sought out by individuals, museums and other institutions in this country and abroad. 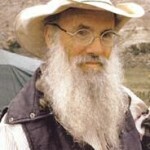 He is a member of the Association of Applied Paleontological Sciences (AAPS). James Taylor, Joe’s nephew, graduated from Texas A&M University, class of ’93, with a BS in Biomedical Science. 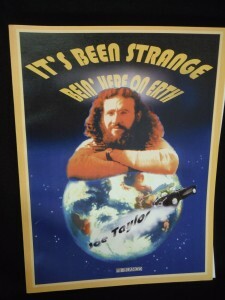 He maintained the web site for a while and has helped Joe on numerous digs dating back to a mammoth found in Mt. Blanco canyon in 1984. James was reared on the S/K Ranch south of Crosbyton and currently serves as the co-pastor of the Crosbyton Primitive Baptist Church. He and his wife, Julie, along with their four children moved back to Crosbyton in November 2006 from Aberdeen, MS where he had been co-pastor of the Aberdeen Primitive Baptist Church. Click here to see what James has to say about his college experience and thoughts on evolution vs. creationism.